The group's suite will also be offered to the Canadian market, helping secure access to block liquidity. Liquidnet, an institutional trading and equities network, has deployed its Next Gen algo suite in Canada, helping shore up access to block liquidity in the North American marketplace, per a group statement. Liquidnet has been expanding its Next Gen algo suite in a number of different jurisdictions over the past year, including the launch of the platform in the Asia-Pacific (APAC) region last June. The Next Gen algo suite helps tap into Liquidnet’s pool of natural liquidity, also sourcing liquidity to both lit and dark markets. The enhancement of the suite in Canada is important as it helps augment access to block liquidity in the country, including its flagship liquidity-seeking algo, Liquidnet Dark. In addition, the new additions to its Canadian offering includes Liquidnet Barracuda, which is designed to simultaneously seek a large block in Liquidnet and Liquidnet Sweep-Then-Post. “Liquidnet is a leader in the institutional block space. 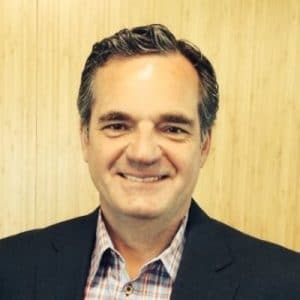 Our Next Gen algorithms have become top performing block seeking algorithms in Europe and the United States and we believe they will be transformative for our Member base here in Canada,” added Peter Coffey, Head of Liquidnet Canada. “As one of the few unconflicted, agency-only brokers in Canada with expertise in lit, dark, and block markets, we are uniquely positioned to design execution strategies that can navigate complex markets to efficiently access the liquidity that institutions need,” he explained.